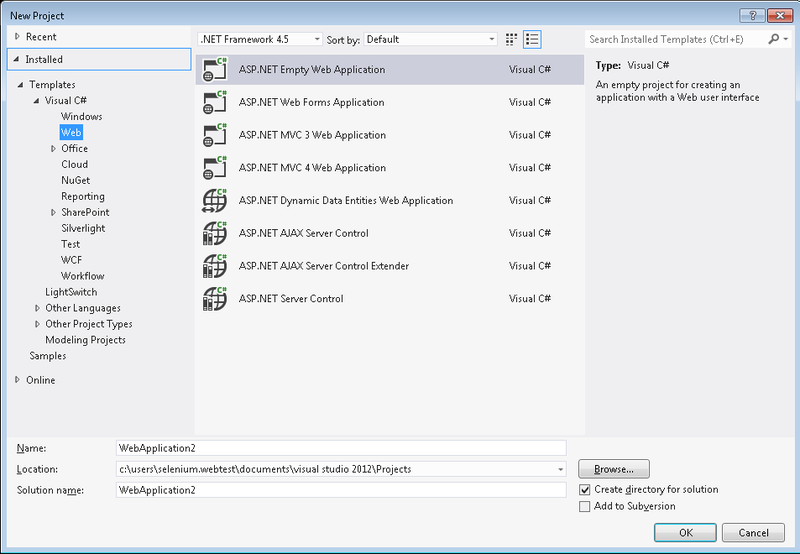 I want to create web application using Visual Studio 2012. The application should login into a website and report numerical findings on the UI. The language used will be Visual C#. I have loaded the application and selected on the menu: File> New > Projects. A window appears with multiple options. I am starting to learn about programming language such as C# and Visual Basic. Would I be able to have a bit of help on this.